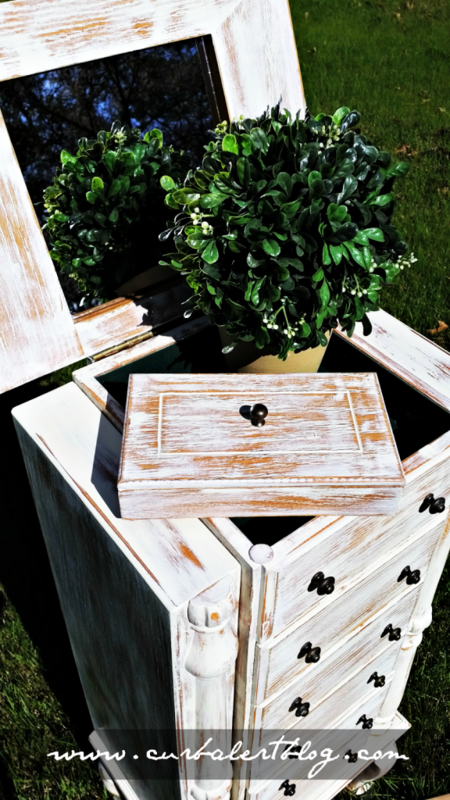 You are at:Home»Uncategorized»White Rustic Jewelry Armoire and Trades of Hope Jewelry Giveaway! Well it’s about darn time I finally post about a furniture makeover. The weather has not been cooperative to work on my larger pieces so in the meantime I decided to do a little makeover on this sweet little number! ***Please note that this post contains affiliate links. Did you happen to notice to garage sale bargain price of $5 on the yellow ticket? 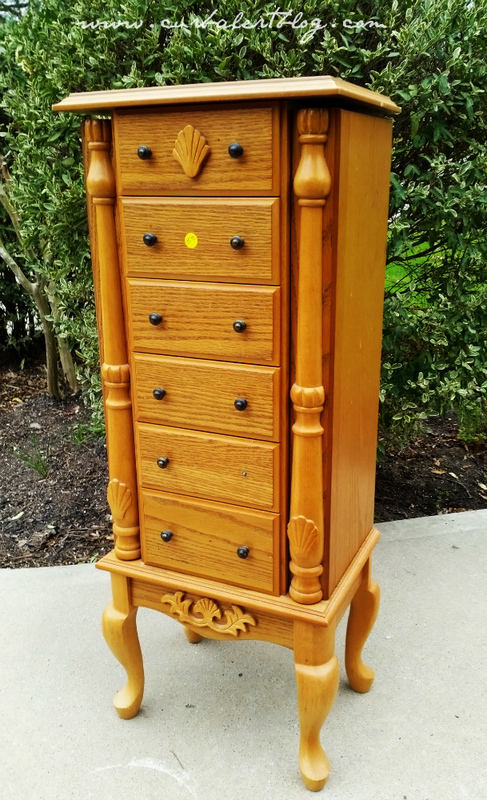 I was pretty excited about that because lately everyone wants an arm and a leg for used stinky furniture and this piece is in great clean condition. The only furniture I have in the entire house that remotely matches it is in my son’s bedroom and he is not the slightest bit interested in it! Luckily I have three girls so I am sure we can find a place for it after a bit of Annie Sloan Old White Chalk Paint and Annie Sloan Clear Wax. 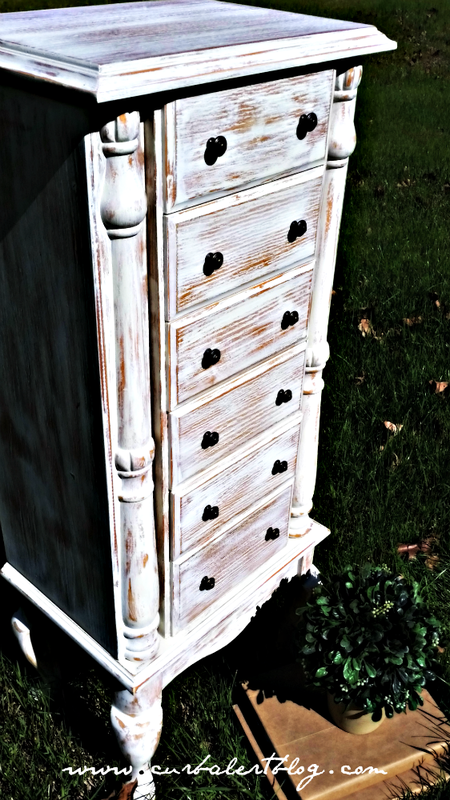 Yep, that’s all it took was just a bit of paint and one afternoon to turn it into something I love – a White Rustic Jewelry Armoire! 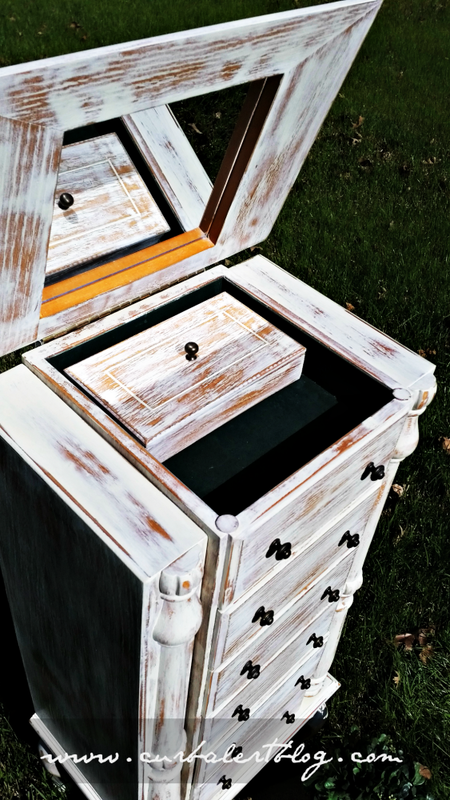 Ok, maybe I won’t hush…check out the cute little jewelry box on the inside and all of the great storage! Hmmm, which one of my girls is going to be the lucky one to get this in her room? 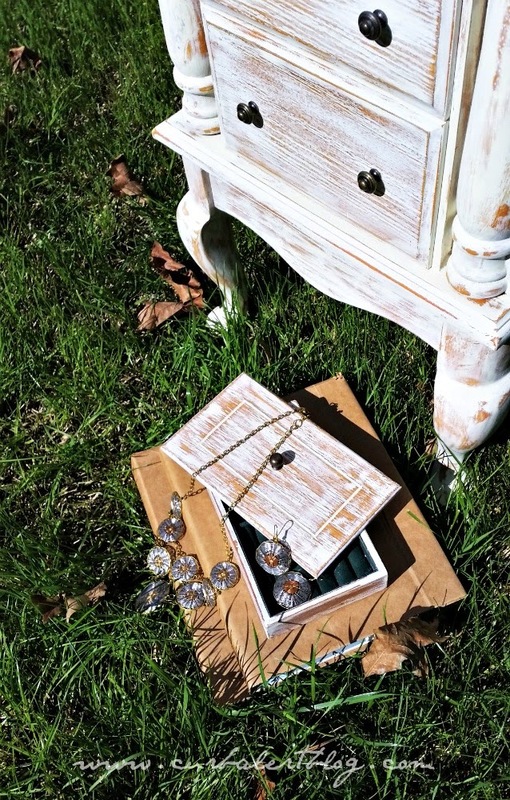 Did you happen to notice the cute Necklace and Earring set in the jewelry box? 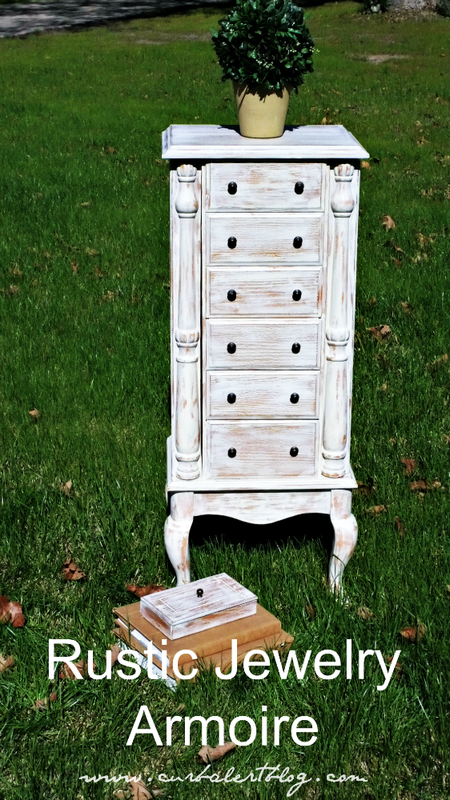 Leave me a comment below telling me what you think of the armoire and I will randomly choose a winner by Tuesday, March 10th. 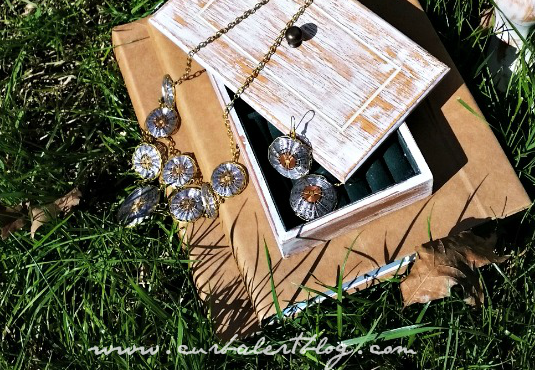 (can only ship in the U.S. please) The winner will receive the Trades of Hope Kari Jewelry Set – just a little gift from me because I Appreciate You! Thanks for reading Curb Alert! You did score on that big time! It is gorgeous, I love the color choices! 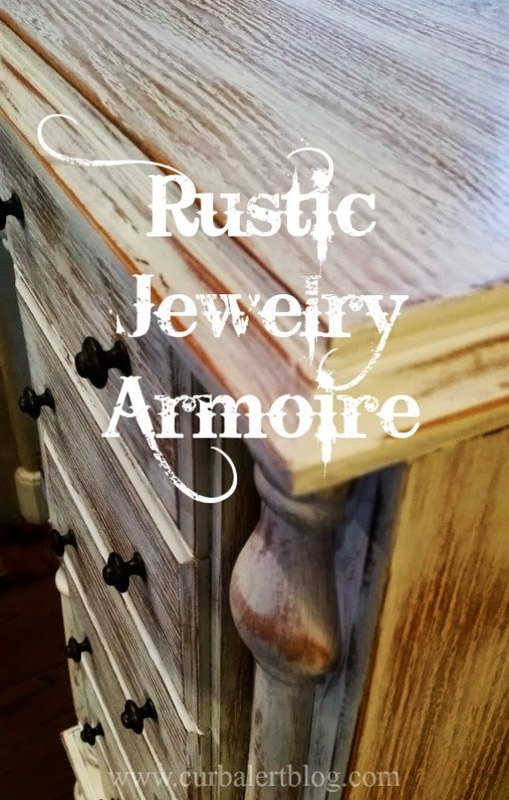 I love the new look on the jewelry armoire. What a great buy for $5! It really looks like a different piece after the makeover. Wow, you did a fantastic job on your makeover. What a sweet deal! I refinished all of my bedroom furniture and painted them white. Now that I've seen this with the chalk paint, I wish I'd used that instead. It's so cute! Good job! What a great deal and I love the way you painted it. It looks like a piece I did oaver a year ago on a dresser. I love the shabby look friend. Lovely and the necklace is beautiful too. Tami, I have one of these and want to paint it, too. Did you sand it first ? 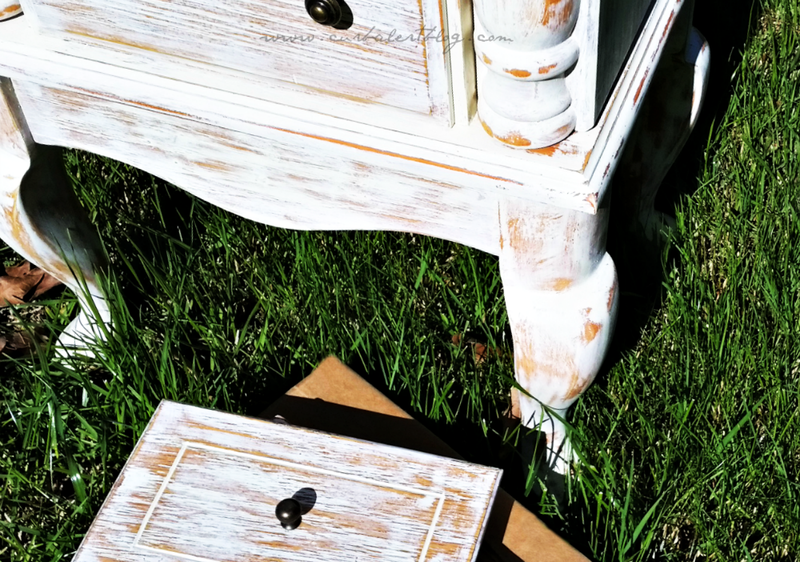 The finish on mine seems quite slick and I'm wondering if the chalk paint will stick well. Did you sand after you painted ? It looks really great ! Thank you for a chance at the giveaway! You're a sweetie !! What a bargain! You were in the right place at the right time!The piece has so much more "personality" since you gave it a makeover. This may sound silly, but she should be called "Jewells" or "Jules". Speaking of jewelry, nice set and thank you for the opportunity to win it! Oooh, turned out so pretty!! Love the rustic charm of this, you are so lucky to get it for 5 bucks! I love it when we fall into bargains like that. Great job! I have one of those hiding in my closet. Time to pull it out and fix it up. And, yes I did notice that cute necklace in that jewel box! 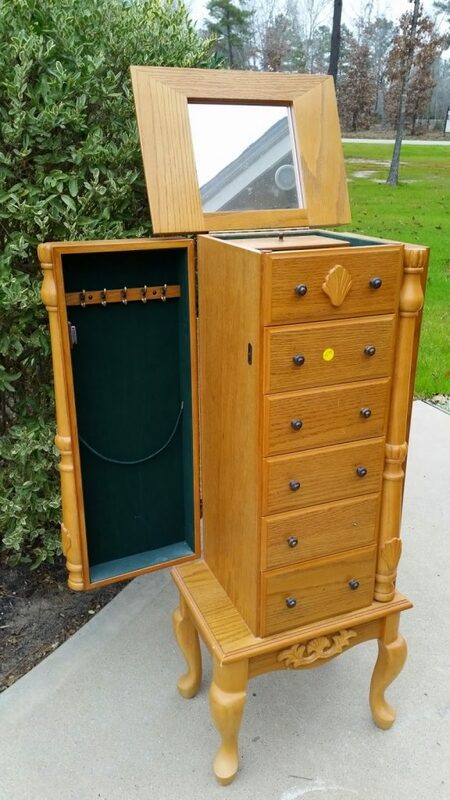 Your jewelry armoire doesn't even look like the same piece! I'm sure your girls will get many years of use out of it. I think this turned out super cute!